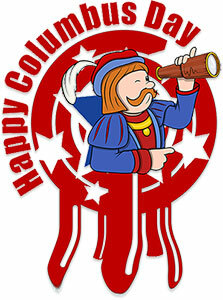 On this page are transparent GIF and JPG Columbus Day clipart images and scenes. 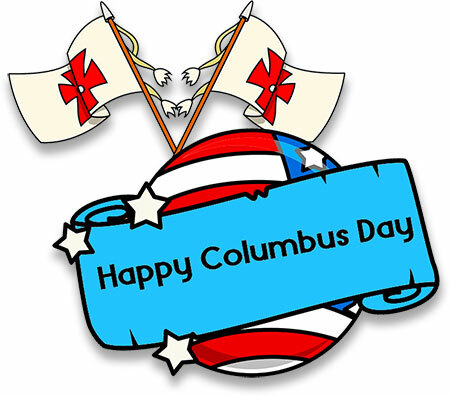 You may use our free Columbus Day clipart on your personal or educational web pages. 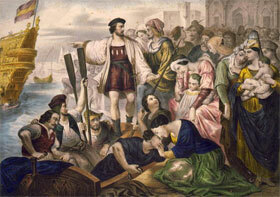 Many of the Christopher Columbus scenes (jpgs) originated from the archives of the Library of Congress. They are all listed as being copyright free (No Known Restrictions on Publication). However, if you wish to use them for business purposes, such as advertising, we strongly suggest you do your own copyright research then access the originals from the loc.gov. 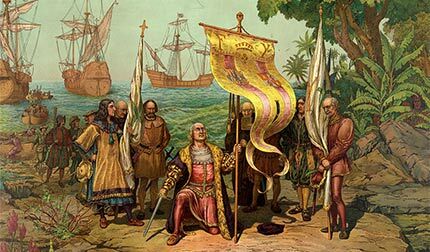 Columbus heads to the New World. Happy Columbus Day with animation. Columbus Day in 3D with red, white and blue stars. 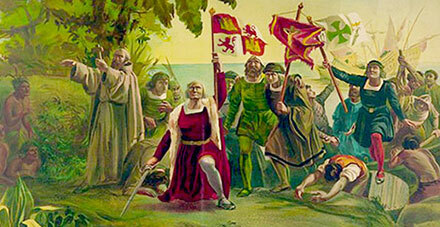 Columbus Arrives at San Salvador 1492. 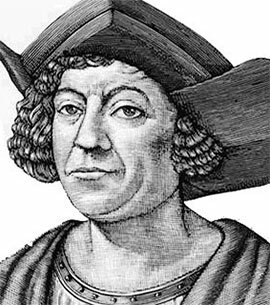 Portrait of Christopher Columbus in black and white. 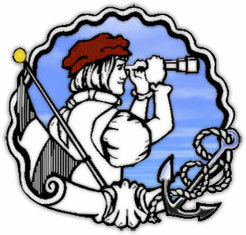 Columbus searching for the new world. 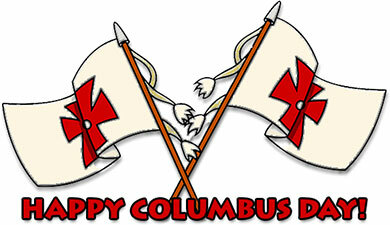 Happy Columbus Day with flags waving in the wind. 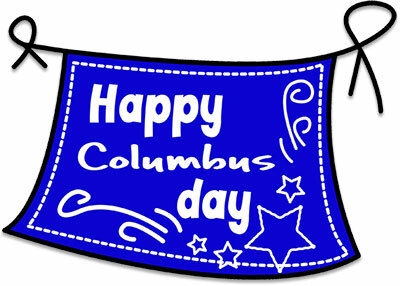 Happy Columbus Day with flag. 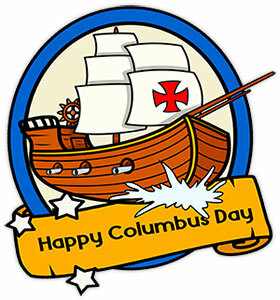 Happy Columbus Day with ship and banner. 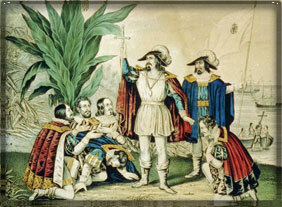 Columbus in the New World. 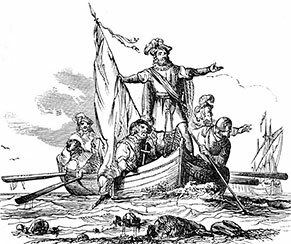 Columbus arrives in The New World. 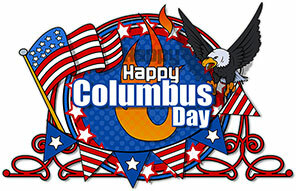 Columbus Day with star and stripe design. 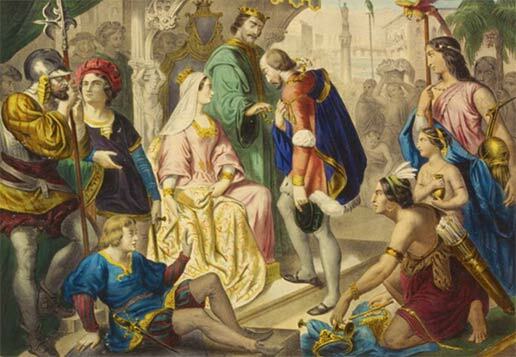 Columbus returns from The New World and is greeted by King Ferdinand and Queen Isabella. 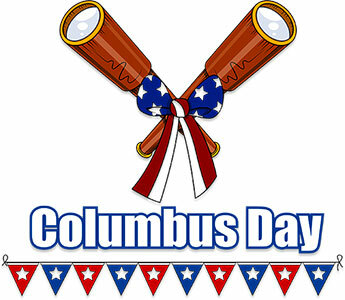 Columbus Day sign with telescopes, ribbons and flags. Happy Columbus Day with flags. Happy Columbus Day with Christopher searching for The New World. 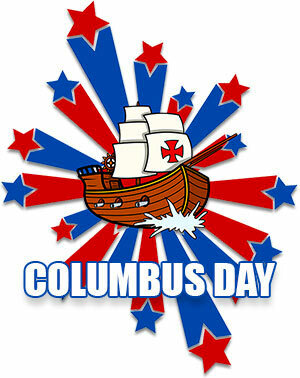 Columbus Day with ship and star design. The Santa Maria Animated (of course, it could be the Niña or the Pinta if you want it to be). 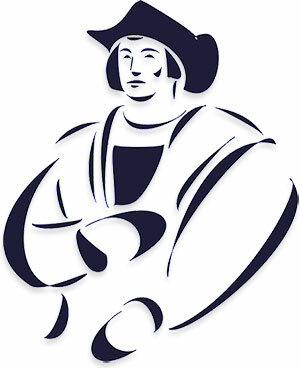 Columbus in the New World. Chromolithograph created by L. Prang & Co.1893. 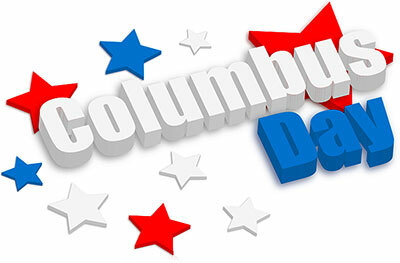 You may use our Columbus Day clipart to enhance your web pages or personal site. 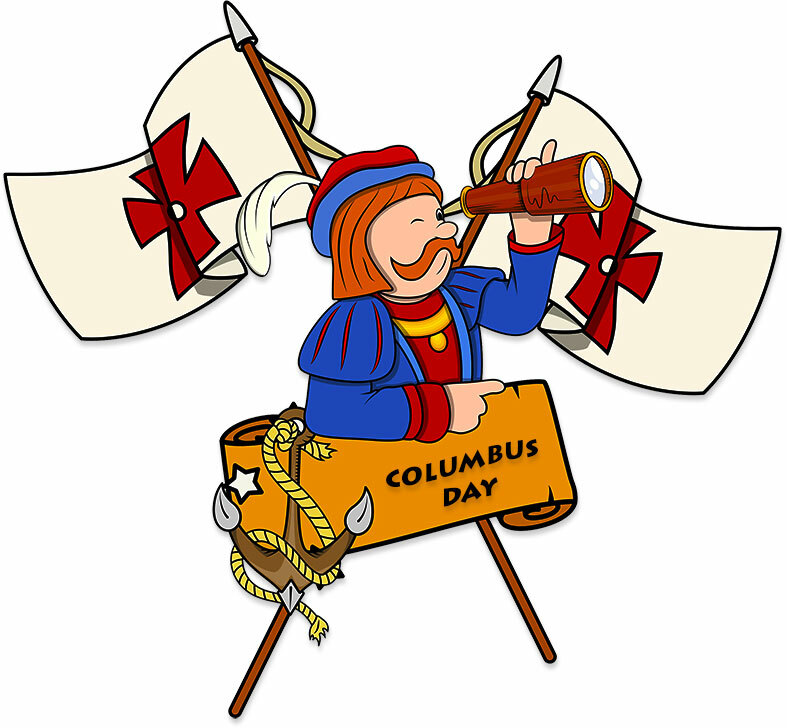 If you use our Columbus Day clipart or animations please give us credit. 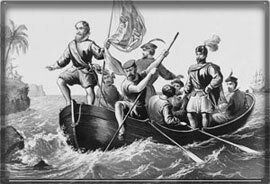 Christopher Columbus searching for the new world.